Read the series that's sold more than 2 million copies--if you dare! Warning: this description has not been authorized by Pseudonymous Bosch. As much as he'd love to sing the praises of his book (he is very vain), he wouldn't want you to hear about his brave 11-year old heroes, Cass and Max-Ernest. Or about how a mysterious box of vials, the Symphony of Smells, sends them on the trail of a magician who has vanished under strange (and stinky) circumstances. And he certainly wouldn't want you to know about the hair-raising adventures that follow and the nefarious villains they face. You see, not only is the name of this book secret, the story inside is, too. For it concerns a secret. A Big Secret. 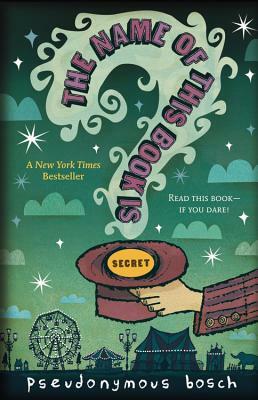 Pseudonymous Bosch is the infamously anonymous author of the New York Times bestselling Secret Series and the Bad Books. Despite rumors to the contrary, his books are not actually written by his pet rabbit, Quiche; the rabbit is merely his typist. "Equal parts snarky and delightful."